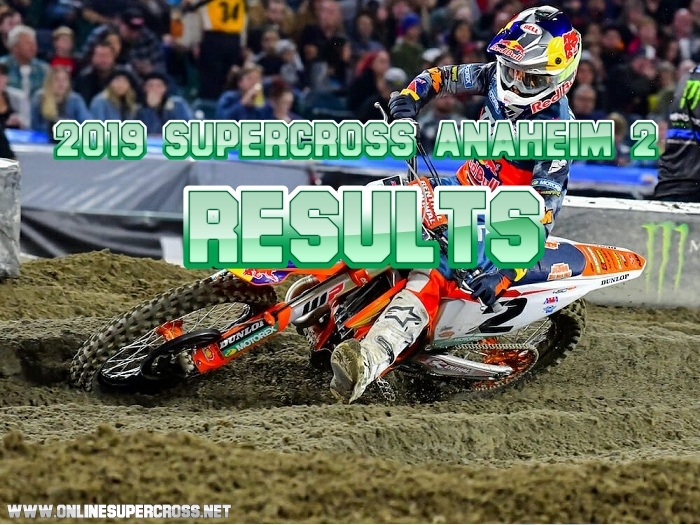 The 2019 Monster Energy Supercross Anaheim 2 took place back at Angel Stadium it was the first round of the Triple Crown series. The trophy will be awarded to the rider who will win the three Triple Crown races. Cooper Webb has won the 450SX race with a dominating performance by crossing veteran racer Ken Roczen in the last turn. Marvin Musquin has finished 2nd place and Eli Tomac completed in third place, Ken Roczen was fourth and Dean Wilson fifth. The first Anaheim 1 250SX race has won the Colt Nichols, but in Anaheim 2 he was unable to get the Triple Crown Series first round. Colt Nichols full tried to win the race, but Shane McElrath has given an awesome performance and he was awarded the victory and the most points.